One of my good friends is celebrating her birthday in San Diego, CA next weekend. From where we live, it’s about a 2 hour drive to San Diego without traffic. Since we are driving all the way out to San Diego, we might as well spend the night for a quick getaway. 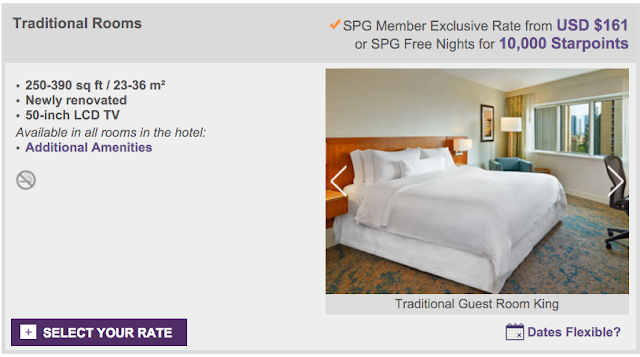 I’ve been going to SPG.com first when booking hotel rooms, since we’ve had plenty of Starpoints to burn. Starwood offers several hotels in San Diego, with the Westin San Diego most conveniently located to where the birthday dinner is located. 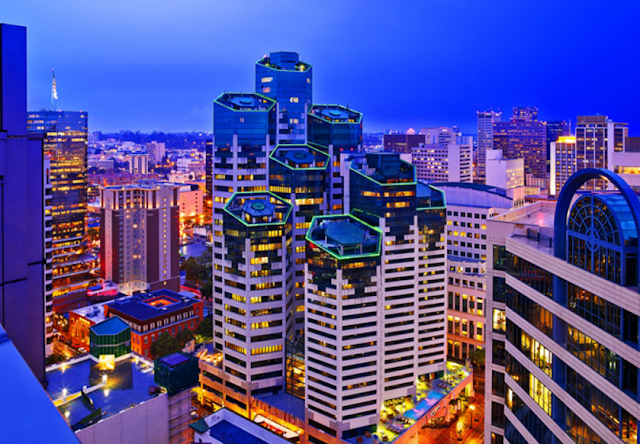 The hotel is in the heart of downtown San Diego, near several attractions and plenty of restaurants. This hotel offers spacious rooms, free Internet access, rooftop pool, and a fitness center. The starting price for rooms per night was $161. 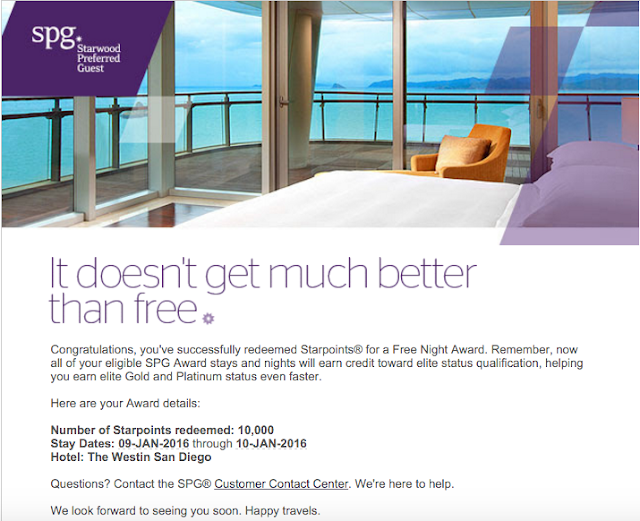 We booked the room for free by redeeming 10,000 Starpoints, giving us a Starpoint value of 1 point = 1.61 cents. There are no extra fees when booking with Starpoints. By using our points to book the hotel stay instead of spending cash, we can spend our cash on other entertainment expenses. We are both looking forward to our first short getaway of 2016. This will be the first time our son visits the Birch aquarium. Where will your points take you in 2016? Most frequent travelers may have already heard that announcement back in November 2015 that Marriott announced plans to buy Starwood Hotels in 2016, creating the world’s largest hotel chain. Currently no one has any idea what’s going to happen to the future value of Starpoints, which are currently significantly more valuable than Marriott points. We’ll have to wait and see what happens, but I have a feeling that Starpoints will go down in value. As I always suggest when it comes to points: earn and burn.